Prior to the understanding of germ theory in the late 19th century and realization of the dangers bacteria posed, cholera and typhoid epidemics were commonplace and little-understood. The practice of chlorination, introduced to America by the water supplier for Jersey City in 1908, eradicated these threats within decades. Ironically, Jersey City actually sued the water company, arguing that the older system of sand filtration was needed to provide the pure and wholesome water required in the supply contract. The judge decided in favor of progress, finding for the company. The New York Times report of the decision was remarkably prescient about the importance of chlorination: “so successful has been this experiment that any municipal water plant, no matter how large, can be made as pure as mountain spring water.” Written a century ago, it almost reads like an ad for bottled water today. The first standards for drinking water in America were developed by the Public Health Service in 1914, two years after the famed aviation brother Wilbur Wright died of typhoid. The federal standards addressed bacteriological threats, but the PHS’ powers were limited, so the standards applied only to interstate common carriers such as trains, buses, and ships. Water providers to these carriers had to use chlorination, and this soon covered all the major cities. The PHS standards were neither comprehensive nor revised very often. Rachel Carson’s Silent Spring heightened the country’s consciousness about pesticides and chemicals, and advances in science revealed whole classes of dangerous viruses, but only 28 of these contaminants were covered when Carson’s book was published in 1962. And even where there were federal standards, there was scant implementation. By 1970, the PHS standards directly applied to just 650 out of the nation’s 35,000 public water suppliers. Only 14 states had adopted the standards for themselves. This was clearly evident in an influential 1969 PHS study examining public water suppliers in Vermont, West Virginia, Colorado, California, and Washington. One-third of the samples exceeded the PHS standards; more than 40 percent of the citizens were drinking “substandard water;” and nationwide, up to 8 million Americans were drinking “potentially dangerous water.” In Washington state alone, two-thirds of the systems had not tested for chemicals in their water in the past year and, of the 127 systems surveyed, only seven would pass the state’s bacteriological standards. These numbers were alarming, and they helped lead to the passage of the Safe Drinking Water Act, or SDWA, in 1974. At that time some parts of the country enjoyed very good tap water but many did not, and worse, we didn’t really know which were which. The SDWA was amended in 1986 and 1996. Taken together, the law has been groundbreaking in three key respects. First, it created uniform drinking water standards for a wide range of contaminants that were enforceable throughout the country. This may seem like common sense today, but it was a radically original idea, recently introduced in the Clean Air Act of 1970 and Clean Water Act of 1972. Second, it provided badly needed government funds through loans and grants for infrastructure. More times than not, poor water quality was due to lack of resources. 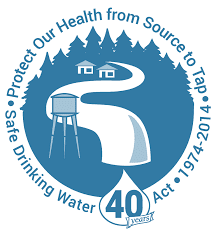 Third, it directly engaged the public by making the state of our tap water much more transparent. For the first time, water suppliers were required to send out regular reports on water quality and, perhaps more important, immediately notify customers when serious violations occurred. The SDWA has worked extremely well. America enjoys among the safest and most reliable drinking water in the world. According to EPA Administrator Gina McCarthy, more than 90 percent of water customers enjoy drinking water that meets all standards all the time, a far cry from the worrying landscape of the 1969 PHS report—glass half-full. In 1940 Mexico had more national parks than any country in the world. Nestled among pine and fir forests, find a solicitor sprawling across volcanoes in the shadow of Mexico City, these parks bore the mark of a particular kind of conservation.